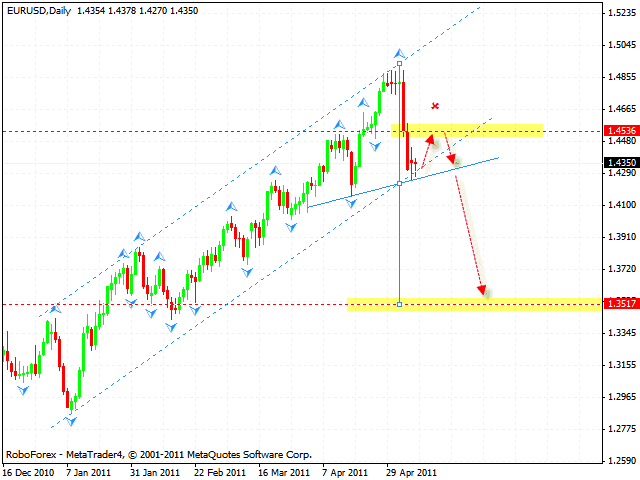 At the moment the EUR/USD currency pair is testing the rising channel’s lower border. The main scenario is Euro growing to the level of 1.4530, and then falling from the “shoulder” of “head & shoulders” reversal pattern with the target in the area of 1.35. But if the price breaks the channel’s lower border, one should consider selling Euro with the tight stop. 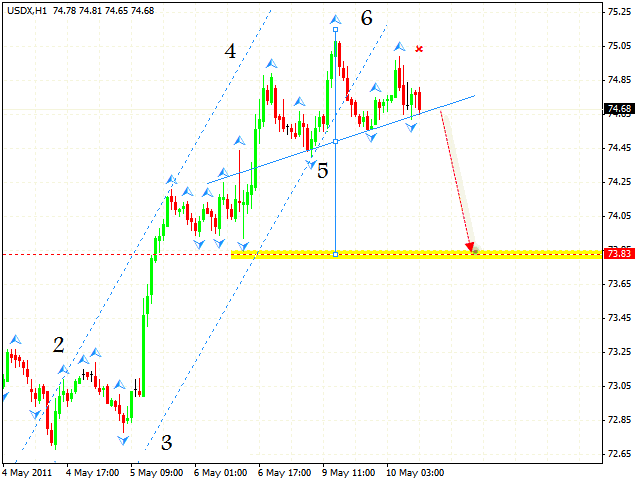 In case of DOLLAR INDEX we can see that the reversal pattern has been formed, which is also in favour of Euro’s growth. The targets of the rising symmetrical pattern have been reached and the price has entered the area where we can try sales. After the price breaks the neckline we should expect Dollar to fall. 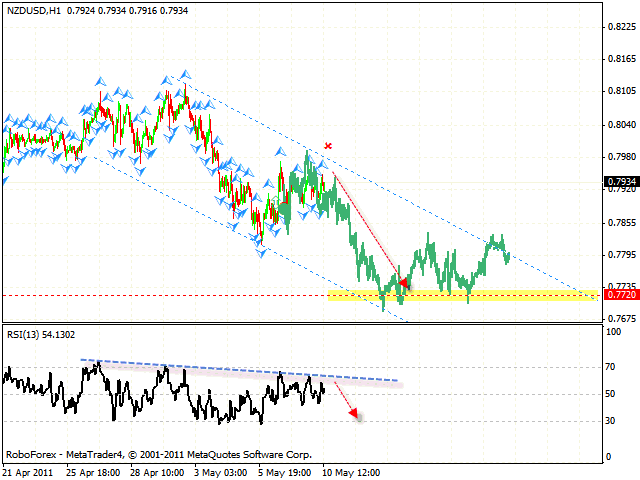 One can consider selling New Zealand Dollar with the stop above 0.7980, the target of the fall is the area of 0.7720. The price testing the trend’s descending line at the RSI is an additional signal to sell the pair. If the price breaks the channel’s upper border, this case scenario will be cancelled. Last week we witnessed a significant fall o fSilver. 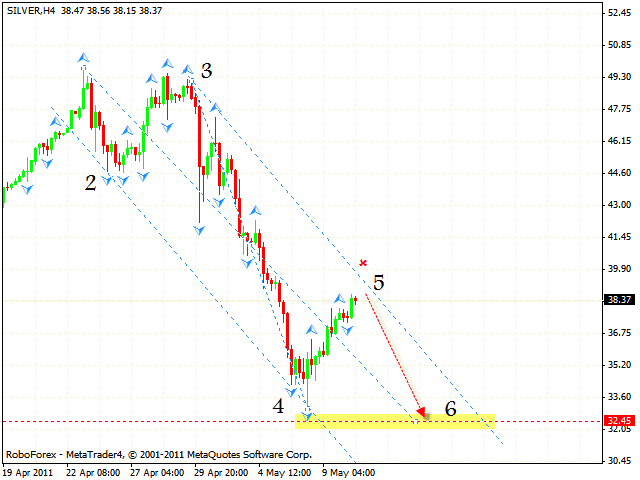 However, currently we can see the formation of the descending pattern with the target in the area of 32.45. The price has almost completed the 5th point of reference, which may be a starting point of the final falling wave. But if Silver breaks the channel’s upper border, this case scenario will be cancelled. The price breaking the rising channel will be a signal to sell Silver. 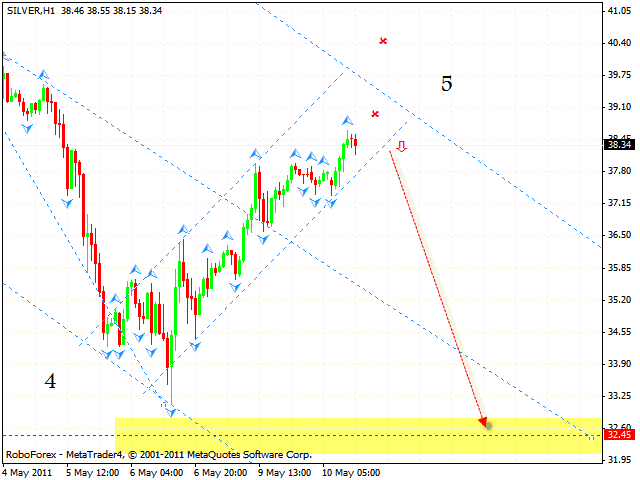 One can consider selling it with the stop above 39.00.